This is the only village operated ropeway in Japan run by Chihaya Akasaka Village and goes up to Mt Kongo in Chihaya Akasaka Village, Minami Kawachi District. 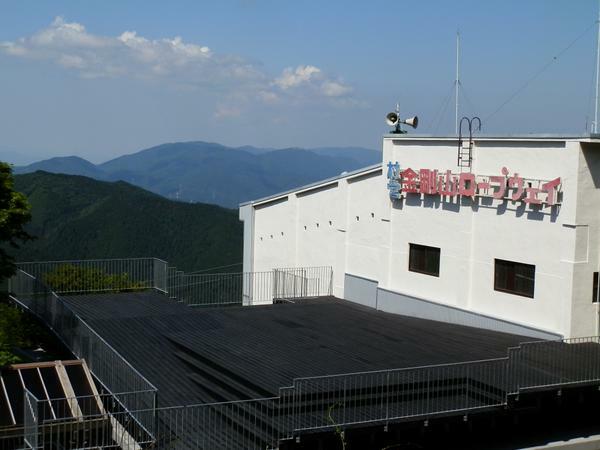 It was opened in 1966 and connects the two stations of Chihaya Station at the foot of the mountain and Mt. Kongo Station on the mountainside. 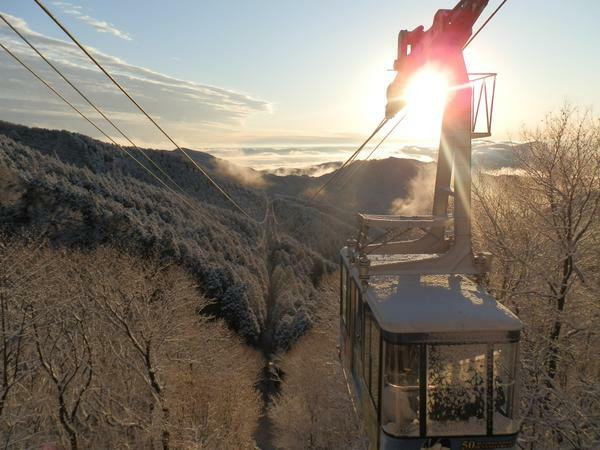 An attraction of the ropeway is the view of the natural scenery such as flowers and trees of Mt. Kongo in the four seasons which makes you forget you are in Osaka. The gondolas on the double-track intersecting ordinary cableway are affectionately named Chihaya and Akasaka after the Chihaya Akasaka Village. The ropeway has a total length of 1,323 meters, a height difference is 267 meters, and the operation time is six minutes.